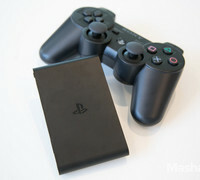 In theory PlayStation TV—which lets you play (most) PS Vita games on your TV along with PlayStation 4 remote play and PlayStation Now streaming—is a great idea. Unfortunately it never fully caught on, and as a result shipment of the product has come to an end in Japan. Sony Japan's discontinuation of PlayStation TV comes off some pretty lackluster sales. According to Japanese sales tracker Media Create, PSTV only pushed around 185,000 units in Japan from the time of its launch in November 2013 through January 2016.